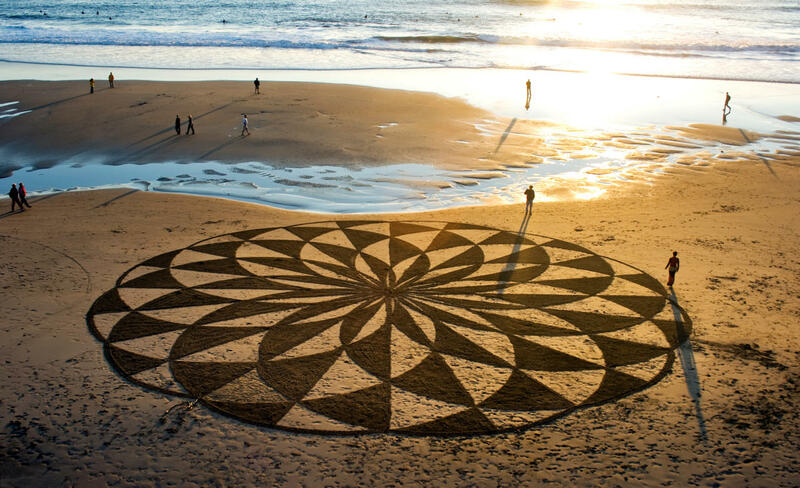 American artist Andres Amador spends hours painstakingly carving giant works of art on to beach shores, some creations spanning up to 300 x 500 feet. 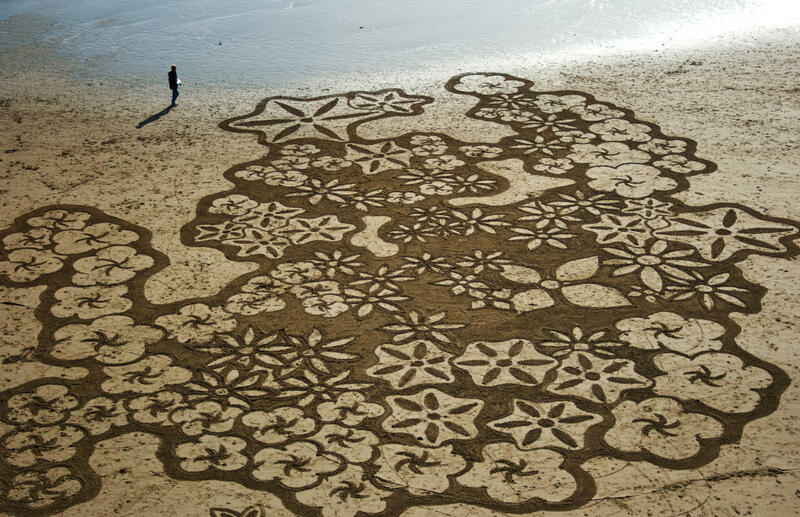 He illustrates each pattern in a sketchbook before re-creating the grand design in the sand using nothing more than a garden rake. 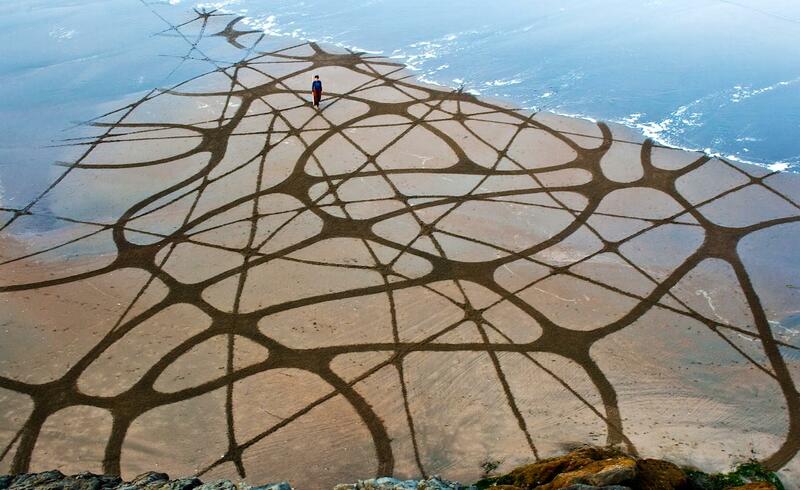 With the help of Google Earth to pick out the best beaches for his designs, Amador then patiently waits for a full moon to ensure tides are low enough for him to complete his design before it is washed away by the sea.